Any time you go away it is likely that you will need a different type of suitcase or holdall, depending on the length of the trip and the destination. Luggage brand Antler understands this, which is why they have created luggage to adapt to every part of your travel life. 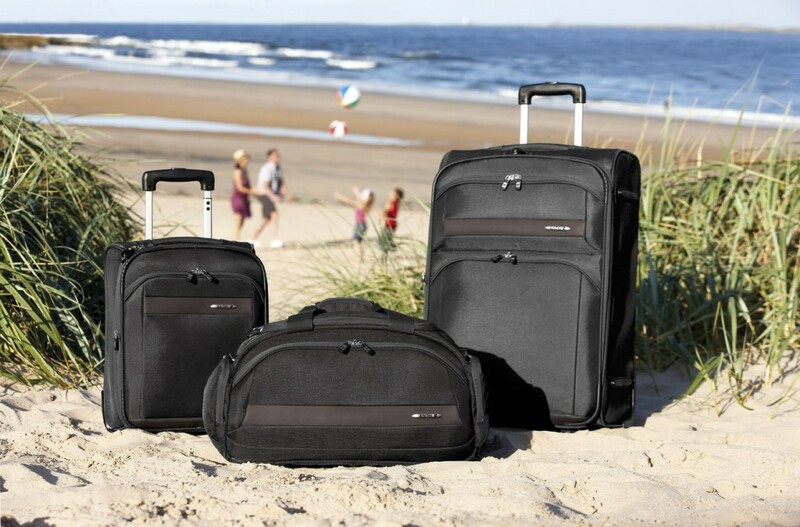 Traditionally Antler luggage sets come in three’s providing you with a choice of large, medium or cabin rollercases depending on where you’re going, how long for and how you’re getting there. But there is more to think about than the basics – what about colour? You don’t want to miss your luggage on the carousel, and often people would like their luggage to reflect their personality or favourite colour. 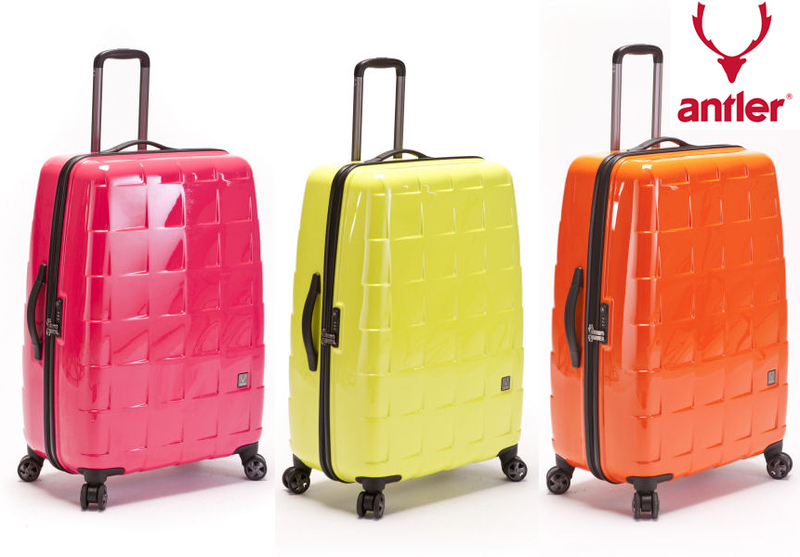 Luckily Antler luggage comes in a wide variety of colours from classic black, navy and grey in many of their ranges, to the pink, lime and tangerine in their new Camden line (below). Something else to consider when buying luggage is the weight of the suitcase. If you are flying, especially on a low budget airline, the weight of the case is particularly important so that you don’t get hit with additional costs. Luckily every item in the Antler range is labelled with its weight and dimensions, and Antler produce ranges which are especially lightweight. A number of Antler suitcases have the ability to expand, which is great for bringing back souvenirs from holidays. Once you’ve considered all this, the next step is to decide if you want a soft or hard suitcase. There are definite pros and cons for both; soft cases tend to be lighter and easier to squeeze extra stuff into, while hard cases are seen to offer more protection from knocks and bumps, but are becoming more and more flexible to ensure they don’t split. Essentially if you’re flying, you need to consider which type of case fits your requirements, as well as being durable. Soft cases often have an external compartment which is great to keep things handy, and is something most hard cases don’t have the capability to offer. It’s rare nowadays to find a suitcase without wheels, and why would you choose to carry a suitcase by hand when you’ve got the option to wheel it along, and save your arms. The two-wheeled suitcase was a revelation, and now we are seeing a growing number of suitcases with four wheels giving you the option to tilt your case on two wheels, or roll it along on four. Again, the extra wheels will add to the weight, but if the case is just going in your car, or on a train you won’t have to worry about this. More and more Antler luggage sets now come with pre-fitted TSA locks (Transportation Security Administration – an agency of the U.S. Department of Homeland Security) for those rare moments when customs need to check luggage if they are required to, without breaking the lock, and ensuring the continued safety of the luggage for the rest of the journey. The addition of TSA locks, and the sale of TSA locks has increased over the last few years, and the added bonus is that they are high quality locks which come in combination or lock and key form to protect your things. Obviously there is a lot to consider when buying luggage as you expect it to last for a few years, which is why we are proud to stock Antler, with their continued commitment to providing the best luggage options for you. View our full range of luggage……..
Antler, Antler Luggage, Antler suitcases, cabin luggage, cabin rollercase, family luggage, holidays, large rollercase, Luggage, luggage sets, medium rollercase, nest of luggage, suitcases, summer, summer holidays. Bookmark.